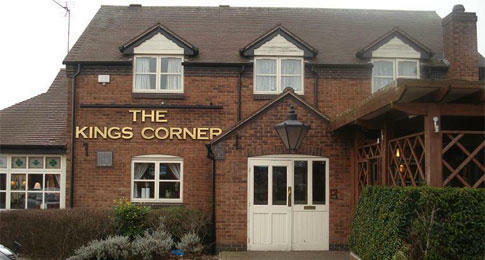 The Kings Corner in Derby is a lovely local pub with a big beer garden and a nice children’s play area. Located on the edge of Oakwood, we’re the perfect place to meet, eat, drink, and unwind. There’s always a friendly face at the bar. Escape the fast pace of city life and join us for good beer and delicious food any day of the week. We serve food all day, and have a menu with dishes to suit all the people you know. Traditional British favourites. Curries from India and the Middle East. Really big American burgers. And vegetarian food packed with flavour. Real ale, guest beers, lager, wine, prosecco, spirits, soft drinks, and coffee are all ready and waiting for you at the bar. Come in and make yourself comfortable.